So, in order to maximize my sleep time, I need a quick but sustaining breakfast to power me through the day. If you read our blog a lot, you know my mom is alllll about nutritious breakfasts to fuel up for the day, and I’ve been trained well, believe me! My go-to has always been eggs, and (not to brag … ahem …) I’ve pretty much perfected the scrambled egg. However, recently I’ve been seeing avocado toast all over the internet, and thought I’d give my classic egg an updated spin! Perfect! Avocado toast is when you (wait for it) put avocado on toast! Really, it’s pretty much that simple. Warm, crunchy toast is slathered with rich, creamy avocado – an incredibly satisfying combination of textures, yet perfectly simple (and nutritious!). 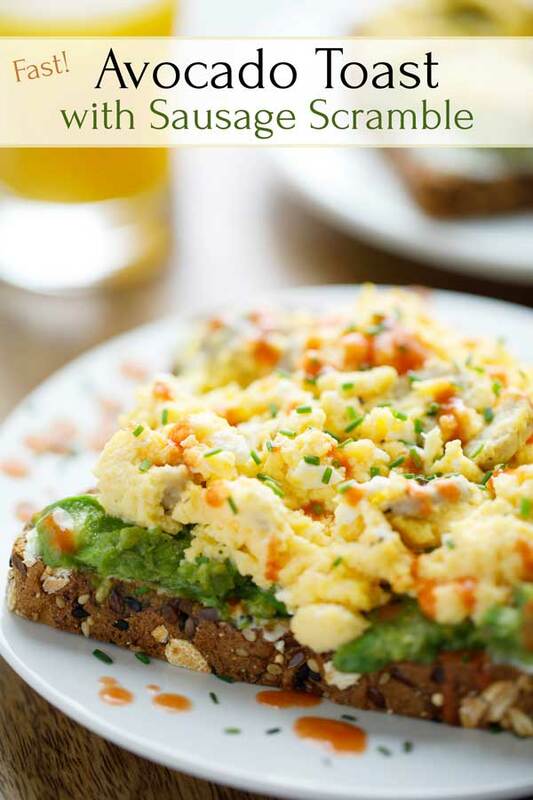 • Warm, whole-grain toast that boasts keep-you-full fiber and lots of great texture. • A tangy slather of reduced-fat cream cheese, in addition to the creamy avocado. If you haven’t tried a little cream cheese on your avocado toast, I’m here to tell ya … it’s a major upgrade! • Ridiculously good scrambled egg. (Remember I mentioned that I’ve perfected the scrambled egg?) Yeah … it’s awesome. I promise! Plus, it’s loaded with protein that helps the keep-you-full fiber in the toast keep you full looooooonger. Oh – and that hot sauce in the scrambled egg? It doesn’t make the egg spicy. It makes it good. Really, really good. Trust me on this part. Maybe add in some fresh fruit, and we’re talking breakfast of champions here. And all that breakfast joy won’t dump you mid-morning, leaving you hungry, depleted and grouchy. Nope! This avocado toast will easily power you straight on to lunchtime. Breakfast joy that lasts all morning long! No energy crash, no rumbling tummy (which is so not cool). But What’s the Best Way to Mash the Avocado? Avocado toast is flexible – so mash your avocado how you see fit. There’s no right or wrong! It can be super smooth or really chunky. In fact, you can even skip the mashing altogether and lay slices of avocado on top of your warm, toasty bread. Hey, you do you. That being said, though, I’ll tell you how I like my avocado mashed. 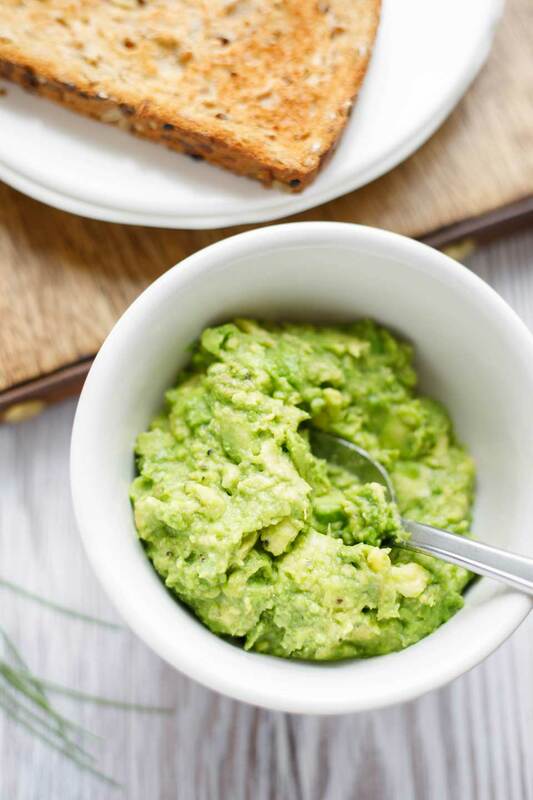 I like it so that it still has a few creamy chunks of avocado, but is overall pretty smooth – that way it makes a great spread for your toast but still has some texture left. 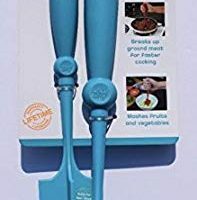 I usually use a fork, but my mom loves this little mashing gadget my grandma gave her for Christmas. I also like my avocado mashed up with a little salt and a little pepper – not so much that they overpower the avocado, but enough to bring out its flavor. I tend to use around 1/16 of a teaspoon of each for half an avocado. But, it’s a judgement call. After making this recipe time after time, I’ve learned a couple little tips and tricks along the way. 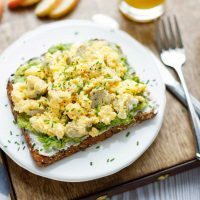 1) Make sure that you have your avocado mashed and the ingredients for your scrambled egg all ready to put in the pan, before you pop the toast into the toaster. You want everything to be ready at essentially the same time! 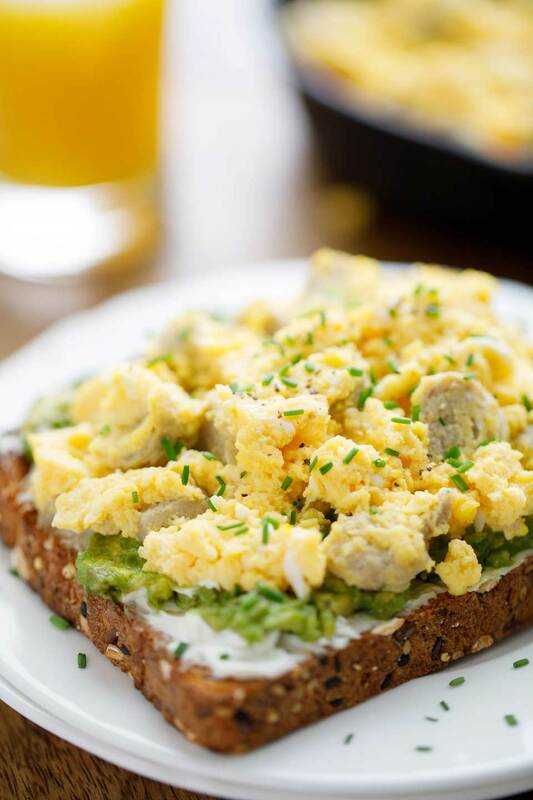 2) After you top your warm toast with the cream cheese and mashed avocado, just plop the scrambled egg on top. If you made too much egg in proportion to the toast, you can put some on the side to eat like normal egg. The choice is all yours (again … the flexibility of this easy recipe)! Kind of repeating myself, here … but avocado toast really is so flexible and so, so easy. If you don’t like something in this recipe, take it out. The avocado toast is still gonna be awesome! Want to go vegetarian? Take out the turkey sausage. It’ll still be delicious! Don’t have cheddar cheese in the fridge? Try feta or swiss! Have some leftover veggies in the fridge? Scramble some up with the eggs. Peppers and onions would be especially great! Like things spicy? Add extra hot sauce in as you scramble the egg, or even drizzle a little (or a lot!) on top! You’re Ready to Power Up Your Day! I love this recipe! And I really hope you do, too … and that it gives you the energy boost you need to get through the daily grind (or an awesome adventure)! Give it a try – and if you enjoy it as much as I do, or if you have any ideas you would like to share on how you customized this avocado toast recipe to make it really your own, please leave a comment and a star review under the recipe card! 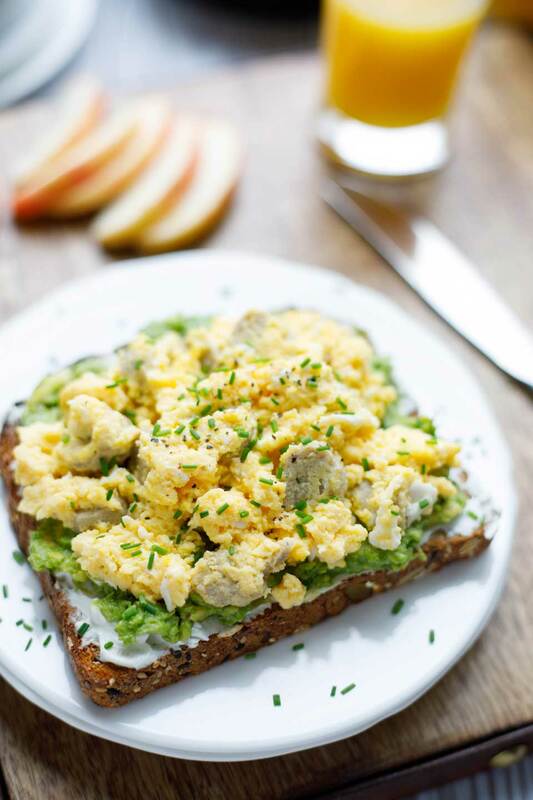 Ready in less than 10 minutes, our Breakfast Avocado Toast with Egg and Sausage is perfect for busy mornings, or relaxed weekend brunches! So delicious, and it'll keep you fueled up for hours! In a small bowl, mash avocado with a fork or a mashing tool. (As shown in the photo in the post, we like it to be just slightly chunky and not completely smooth, but you can adjust the consistency to your liking.) Stir in black pepper and salt. Set aside briefly while you toast the bread and make the scrambled eggs. In a small bowl, whisk egg, sausage rounds, cheese, milk, and Tabasco sauce. (Do this before toasting your bread, so the eggs and toast are done at the same time and the toast is still warm when you serve it). Meanwhile, preheat a small, nonstick skillet over medium heat (spray with cooking spray, if needed). Add egg mixture and cook until the egg is just set but not over-cooked (about 2 minutes), occasionally stirring gently with a rubber spatula so the egg mixture becomes scrambled and fluffy as it cooks. Spread warm toast with cream cheese, and then spread mashed avocado mixture on top of the cream cheese. Spoon warm scrambled egg mixture on top of the avocado. Bread: We like to use a larger slice of bread instead of a smaller, square sandwich bread. We always use a whole-grain or whole-wheat bread because it's more nutritious, and we prefer bread that has some bits of grains or seeds to add great texture. Among the store-bought brands, our current favorite is Dave's Killer Bread, which is organic (we used the Dave's 21 Whole Grains variety in our photos, which looks like THIS). Read ingredient lists carefully to make sure whole wheat or grains is the first ingredient, and that the bread doesn't contain any high-fructose corn syrup (as many processed brands do). « Be a Better Cook Instantly … Before You Even Begin! I’ve been looking for egg-avocado recipe for breakfast, I tried the avocado-egg boat and didn’t like it. Now, I found your recipe and I’m actually eating avocado toast right now. Burp! I’m full! I love it! This will probably get me through the day. Healthy, rich in protein and good fats. Thanks for sharing this recipe. Love this! I was on an avocado toast kick a couple of months back and now I’m thinking I need it in my life again. It’s such a good, wholesome breakfast! This recipe is perfect to get you back on an avocado toast kick! It tastes so good and it’s sooo healthy! One bite and you’ll be back in love! This would be a perfect breakfast! I love avocado toast, it is so filling without the guilt of a big breakfast! I totally agree! This is the perfect breakfast! 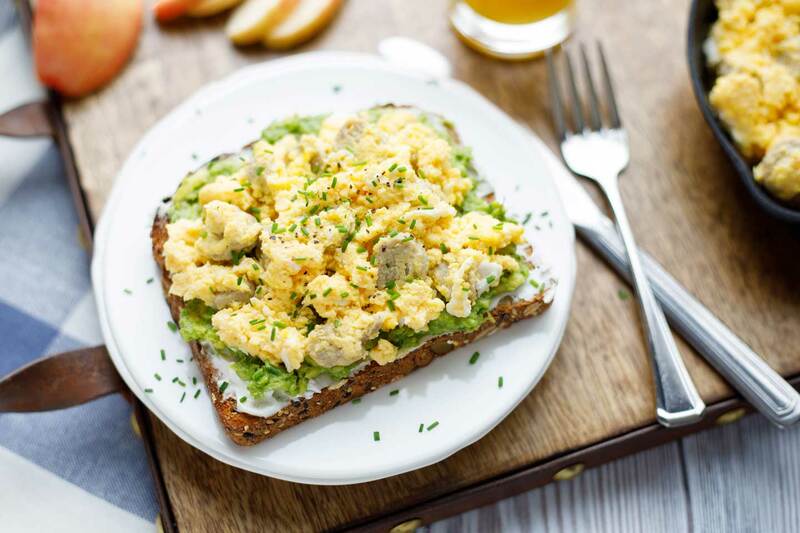 You get egg, toast, cream cheese, and avocado all in one for a super energy rich breakfast! Yes, this is a powerhouse of a breakfast for sure! And I don’t blame you for maximizing your sleep time! I’m guilty of eating the same boring breakfast every morning so I’m going to try this to switch up my morning routine!! Yes, when you are trying to sleep in as much as possible, it’s easy to get stuck eating the same boring breakfast for weeks. I have totally done that too. The great thing about this toast is that its super easy, so it can easily become your go-to and it doesn’t even have to cut into your sleep time! Plus its super yummy and definitely not boring (I could eat it for weeks in a row)! 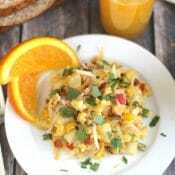 This looks like such an easy and delicious breakfast! Perfect for people on the go! Yep! This recipe is super simple, fast, delicious, and it’s great fuel for any kind of day! If you are super busy this will keep you satisfied until lunch or even later! I think I might be the only person on earth who is not a huge fan of avocado, so I’ve never really understood the appeal of avocado toast. 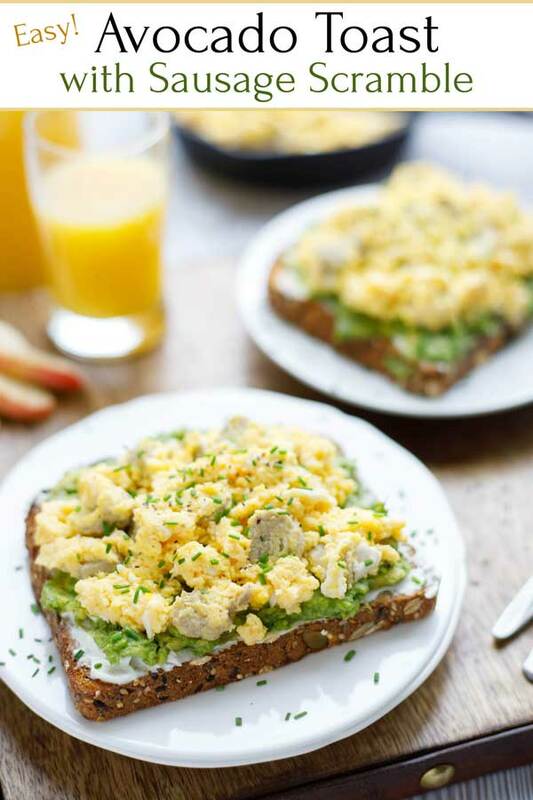 Scrambled eggs on toast, however, I can get behind that, especially with a layer of cream cheese underneath! I think my hubby would love this, though, as he is a fan of avocado. 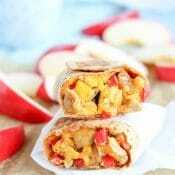 This recipe looks like good, healthy option for lunch, as well! 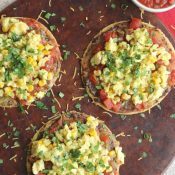 Yep, this recipe is perfect for Breakfast, Brunch, or Lunch! If you are not a fan of avocado, leave it out, I’m sure it will still taste awesome! It’s really easy to customize this recipe because no matter what it still tastes great! Yesssss! I LOVE eggs / hot sauce for breakfast, and have been absolutely meaning to pair them with some avocado toast! Your addition of cream cheese sounds absolutely incredible – more richness, more flavor, and more perfection. This is definitely going to be my breakfast this weekend! I love that this is more than just regular avocado toast! I need a little more for a filling breakfast. Eggs and sausage are one of my favorites, but I ALSO love avocado toast. Typically I just top mine with an over easy egg but I’m looking forward to trying this. I’m glad that you like the recipe! I think that this is a great combination of my breakfast favorites. Plus, anything goes awesome with avocado toast! I am obsessed with avocado toast, but not with the hefty price tag they come with these days. So much easier making it at home! I totally agree! It is certainly cheaper to make avocado toast at home! It also lets you be soo much more flexible with the ingredients that you like and don’t! Thats the beauty of this recipe! 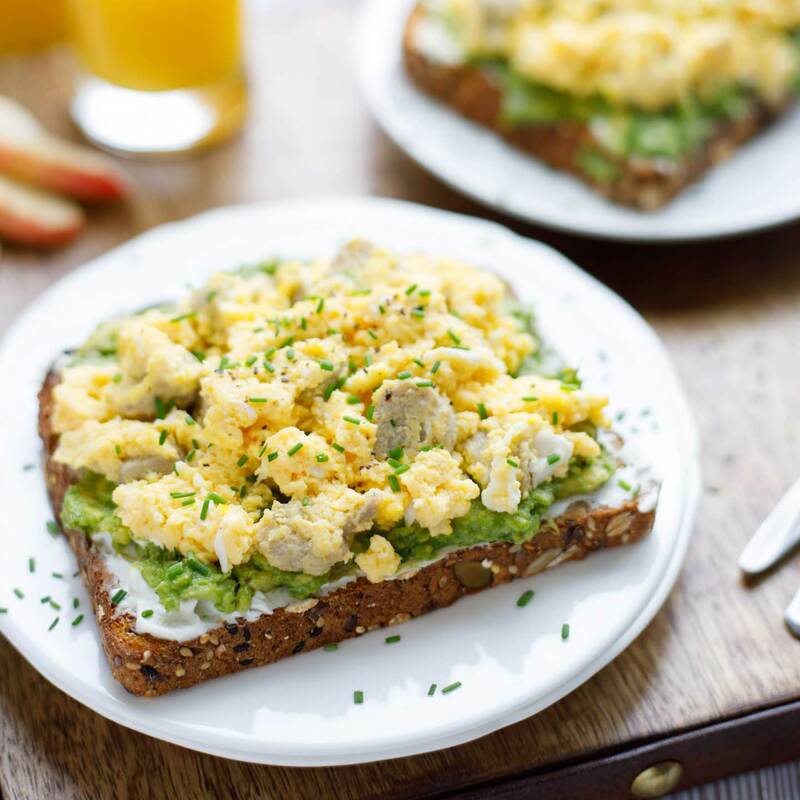 OK, I have to admit that I have never seen the appeal of avocado toast – but adding the eggs and making it a full meal increases it considerably! Because I certainly can see the avocado with the spicy seasoned eggs. Great idea! We are glad that this recipe makes you want to try a food that you normally wouldn’t! Trust me, it won’t let you down. The flavor combination is perfect and it will leave you feeling satisfied all morning long!!! I seriously love avocado toast and I love the way you made this recipe. Thank you so much! 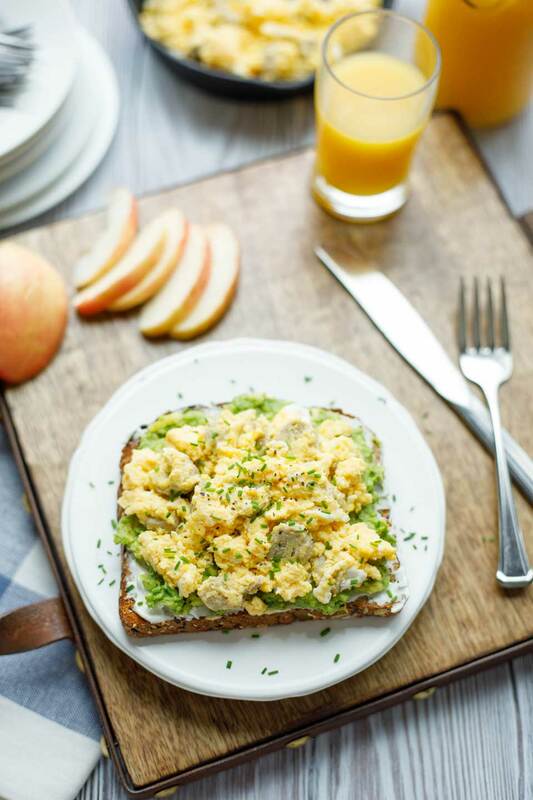 We love avocado toast too and thought that this recipe is the perfect blend of great nutrition and even better flavor! This looks like such a perfect way to start the day! I love avocados any time of day. You are so right! This recipe not only tastes great, but it is also perfect fuel for whatever adventure you have planned for the day! All these ideas are so awesome! I love avocado toast. 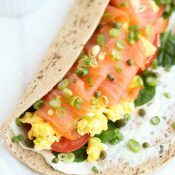 The egg is a great addition and I’m really wanting to eat that right now! Thank you so much!! 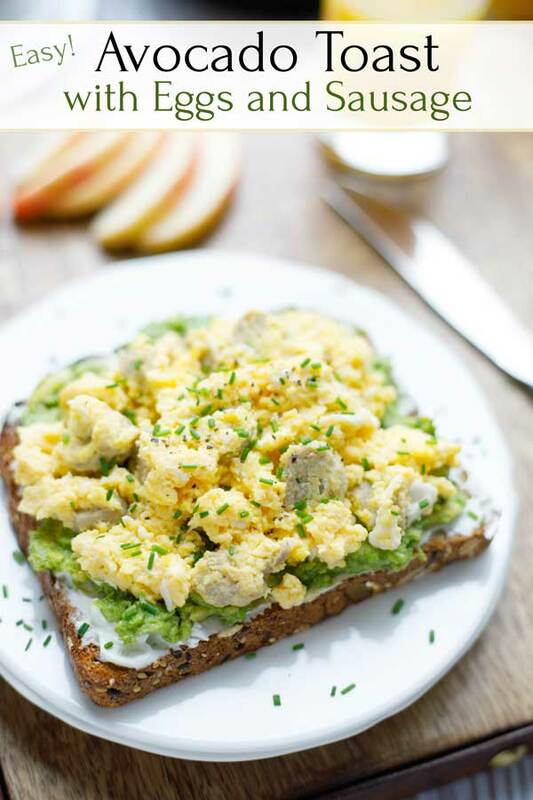 We also love the combination of the avocado, egg, and cream cheese! Love this recipe! So many ways to add yumminess! A much better start to a busy day! Our whole family loves this recipe, we are glad that you do too! We really do love how delicious and nutritious this super awesome breakfast food is!! Great post and easy up-to-date recipe. Can’t wait to try it. The photos make it look delicious! Thank you so much! 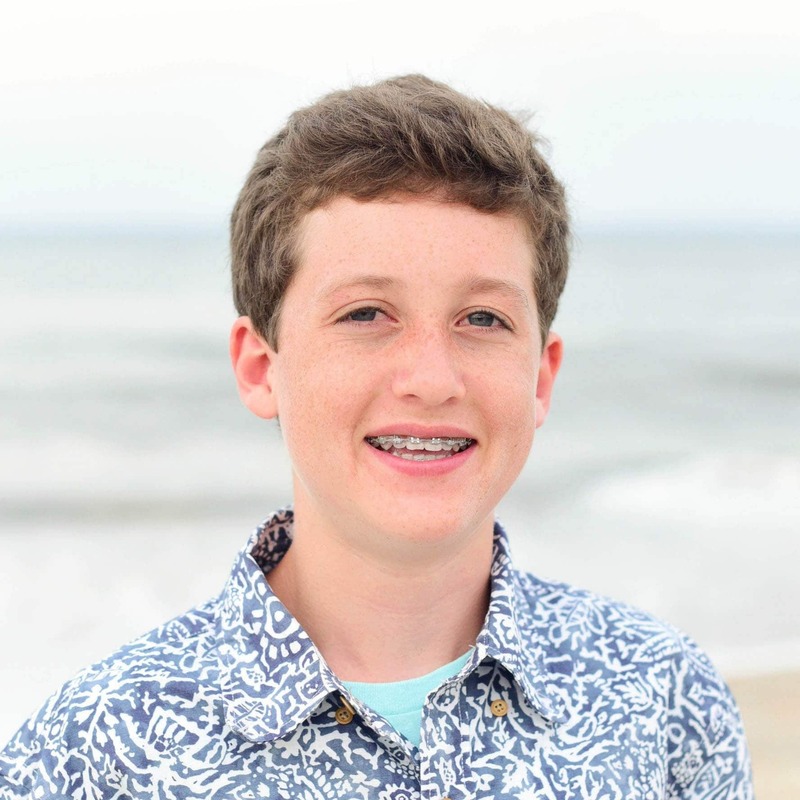 I’m glad that you are excited to try it, I hope you enjoy the recipe as much as I do! !